The final stage of February the IV International Universiade for Management, International Business and Entrepreneurship took place at M.V. Lomonosov Moscow State University on 1–4 February 2018. 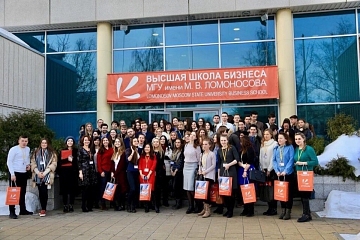 The event was attended by more than 300 students not only from Russia, but also from such foreign countries as Croatia, the Netherlands, France, etc. The Universiade was held within the framework had two rounds – individual and team ones. In the individual round the participants demonstrated their knowledge in the field of management and the English language, while in the team tour they had to solve cases from partner companies – Loreal, Auchan, 3M, Philips, Basic Element, etc. 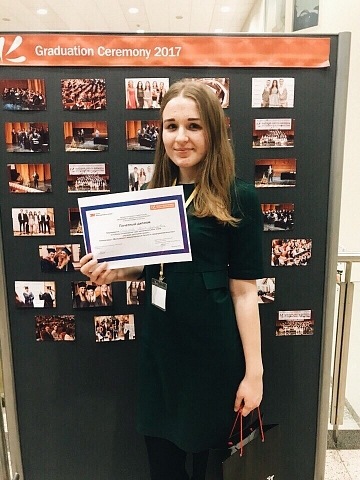 According to the results of the Universiade, the student of the International Institute of Economics, Management and Informational Systems, head of the case-club of Altai State University Julia Stikhareva took the 1st place in the team round by successfully coping with the solvation and defense of the case. "I have participated in the Universiade for the three times, and each of them has been memorable for me. Our team consisted of four people from different cities. We hardly knew each other, so at first it was very difficult to organize teamwork. We solved the case for 3M international corporation, the subject matter of which was quite peculiar: we developed a marketing strategy for entering the market of building materials in Russia. However, despite all the difficulties, we managed to present and defend our work and take the 1st place," Julia shared her impressions.